I'm so happy today, it's worth a blog entry. Aku selalu minat kumpul benda-benda yang pelik. One of my obsessions I've blogged about obviously are toys (specifically from the cult hit M.A.S.K.) from the 80s. There's also Gucci - but since I'm not exactly swimming in money, that 'hobby' is a little harder. 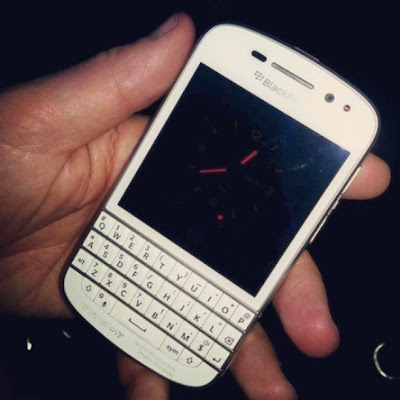 Another love of mine - of course, is Blackberry. My first phone was Motorola. And I was stuck on it for years. 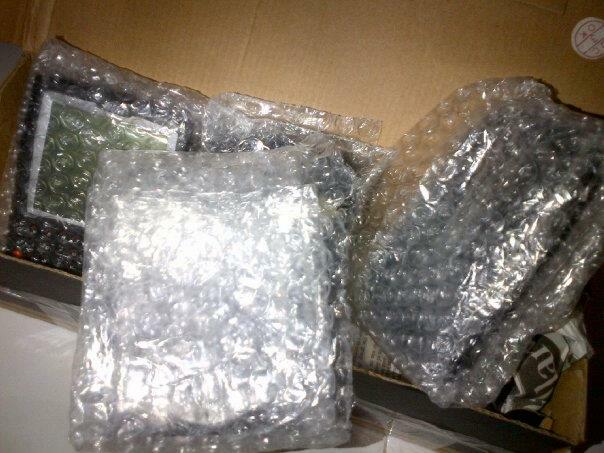 I tried almost every model that came out - managing to get my hands on the latest. And then - I discovered Nokia. Motorola stopped innovating - and Nokia was top dog. There were occasional flirtations with other brands like Siemens, Alcatel... etc. 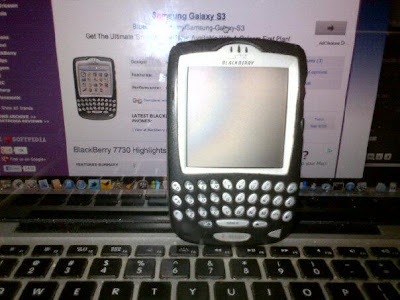 My last Nokia was the N95 - and then I discovered Blackberry with my Blackberry Bold 9700. So up to now, I've had the 9700, 9780 (sold), 9900 - and of course the Playbook and the Porsche Design P'9981 apart from my latest in the Z10. 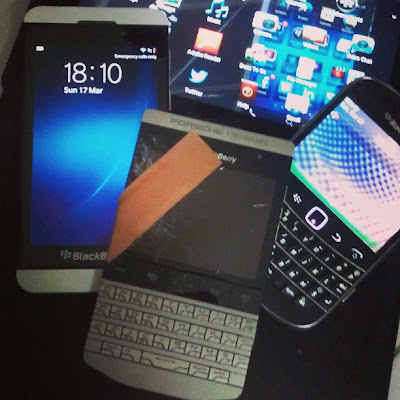 It's sad of course that my P'9981 got its screen broken 0 so that's RM6,400 down the drain. 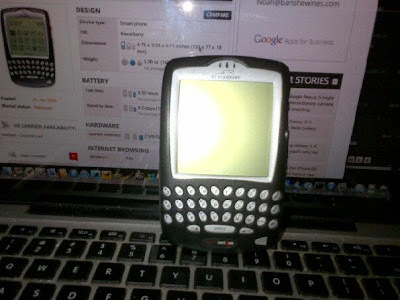 It still works, but the touch function doesn't work. Blackberry Malaysia and Singapore tried calling around but they can't find a replacement. So it's just part of my collection now. For the last two weeks, I've been happy over my Z10. 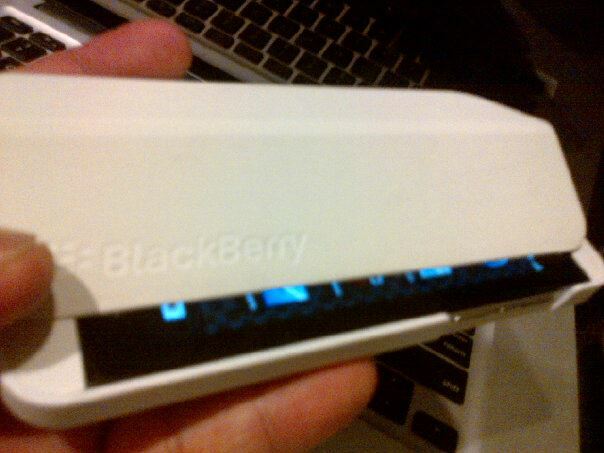 And of course, I'm waiting for the next release in the Q10 - I've always loved the Qwerty function more. 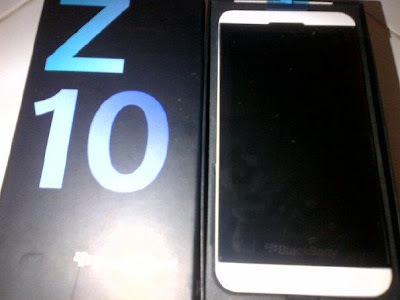 But I'm definitely holding on to my Z10 - it is the BEST smartphone in the market - and even if you hate the Blackberry - you MUST check it out. Screw Androids and iPhones. It doesn't even come close. 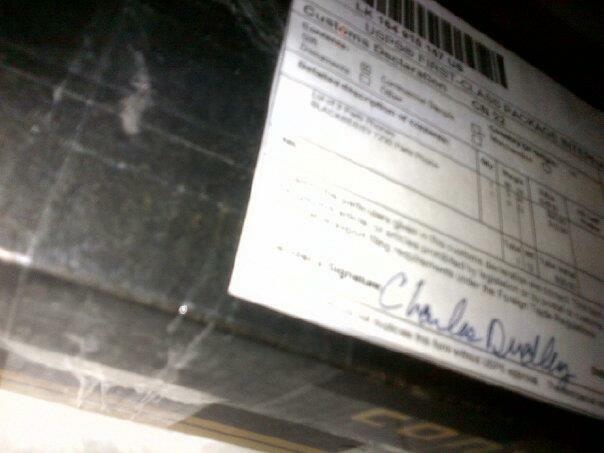 But surprising that past 7pm today, there was a delivery! Want to know what it is? Here's it is. TAA-DAA!!!! And now a little history lesson. Beginning from the bottom photo. This is the RIM - Blackberry 957 released in 2000. It's one of the earliest models of Blackberry handheld devices. 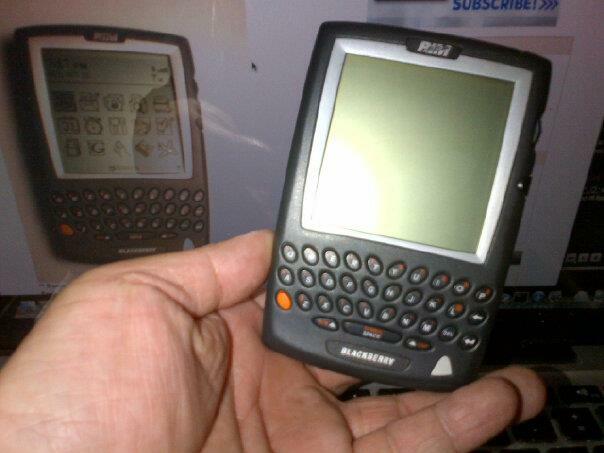 Blackberry began with the Inter@ctive Pager - and moved on to PDAs. The first four models were the 850 - then on to the 857, 950 and 957. So this is a little piece of history in my hands. 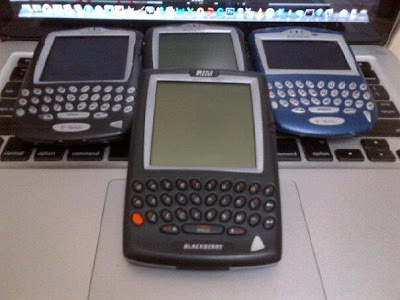 Next, RIM released the monochrome Java based series - the 5000 and 6000s series. 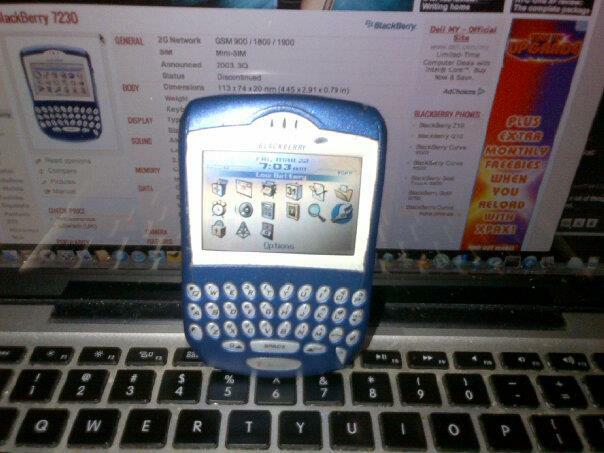 This is the Blackberry 6750 - among the first of Blackberry's smartphones. This was released in 2002. And then Blackberry began releasing its first batch of colour series phones - 7200, 7500 and 7700. This is one of the earliest models - the Blackberry 7230 released in 2003. And last but not least, this is the Blackberry 7730 - the last of the series before the current crop of Bold, Curve, Storm, Torch and Tour after the 8800 lot. 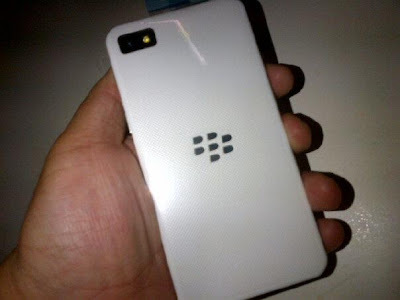 I am EXTREMELY proud to have one of the healthiest collections of Blackberry history in Malaysia. All of these Blackberrys - if I'm not mistaken were never released in Malaysia. We started with the 8*** series. And just a little extra - as you can see in the photos, the 7730 works fine - as I managed to get a charger for it since it uses the old charger yang kepala besar sikit ala ala yang Bold 9000 nya. The funny thing was that masa member kat US snapped a photo of it, he had the phone on. And despite it being in the box for TWO weeks - the phone was STILL on when I opened the box and it had 10% battery left! Awesome! The rest I'm not sure if they work, but they should be. Just need to find the chargers for it. And that - is the little happiness that I have to share with for today. Joy!